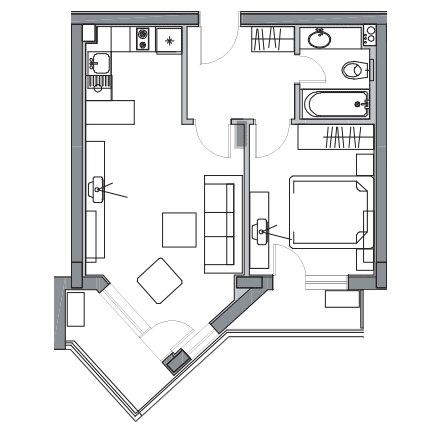 The one-bedroom apartments (2+2) are 60m2-70m2big and consist of a living room and a kitchen, a bedroom, a bathroom, hallway and one or two balconies. These apartments are suitable for accommodating up to 4 people, with 2 people sleeping on the sofa bed in the living room. The beds in the bedroom can either be one big double-bed or two single beds. Our corporate strategy includes offering luxury apartments for short-term or long-term rent for clients of all backgrounds. We offer all current and future home owners a property management and lease service.